The CPI-M on Monday said that the RSS-BJP was raising the Ram temple issue just ahead of the Lok Sabha elections to deepn communal polaristion and hide the “all-round failure” of the Modi government. The Communist Party of India-Marxist (CPI-M) expressed concern at “alarming statements” being made by BJP-RSS leaders and Union Ministers threatening to create “a 1992-like situation” that led to the razing of the Babri Masjid in Ayodhya. These, the party said in a statement, were posing “grave dangers” to the country’s unity. 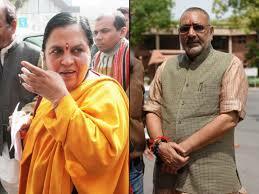 “The BJP had officially stated that it shall abide by the apex court judgment. It is now engaging in a volte face as the general elections are drawing close. By whipping up passions over the Ayodhya dispute and raising the demand for the construction of a temple, RSS and BJP aim to sharpen communal polarization in the country, which has horrendous consequences,” it said. “The effort to consolidate the Hindutva communal vote bank in the run-up to the elections, apart from seeking to divert people’s attention away from the all-round failure of the Modi government, poses grave dangers to our country’s unity and integrity,” it said. It said that demands for enactment of a law for construction of Ram temple at the disputed site in Ayodhya was tantamount to subversion of the judicial process and was “unconstitutional and illegal”. The Left party said that “alarming statements” were being made by Union Ministers and the leaders of the ruling Bharatiya Janata Party (BJP) and its parent organisation the Rashtriya Swayamsevak Sangh (RSS). “The CPI-M calls upon the central government to stop patronizing such forces who are out to destroy the unity of our country’s social fabric and the BJP state government in Uttar Pradesh to faithfully discharge its responsibilities in maintaining law and order,” it said.